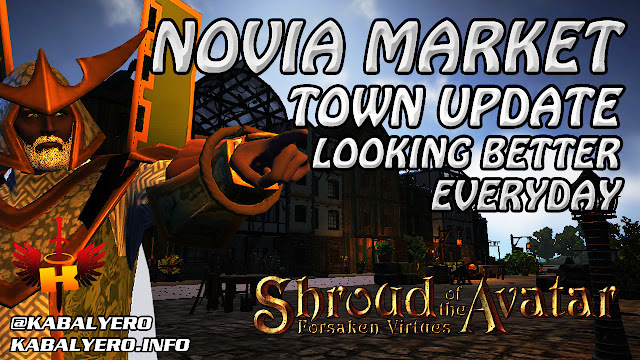 Novia Market Town Update, Looking Better And Better Everyday 🏠 Shroud Of The Avatar (Town Check) - KABALYERO - PLAY, BLOG & EARN! When I first created a video about Novia Market, a Player Owned Town governed by Bamboozle and located just south of Central Brittany, the town had a lot of open spaces. Now, those open spaces has been filled with a lot of cool things and new available spaces has been added. Watch the video below to see what has changed in Novia Market.